Magnum Opus of digital philosopher Alex Vikoulov on the ultimate nature of reality, consciousness, the physics of time, philosophy of mind, the technological Singularity, the impending phase transition of humanity, transcendental metaphysics and God. In one volume, the author covers it all: from quantum physics to your experiential reality, from the Big Bang to the Omega Point, from the ‘flow state’ to psychedelics, from ‘Lucy’ to the looming AI Singularity, from natural algorithms to the operating system of your mind, from geo-engineering to nanotechnology, from anti-aging to immortality technologies, from oligopoly capitalism to Star-Trekonomics, from the Matrix to Universal Mind, from Homo sapiens to Holo syntellectus. Within the next few decades, we are about to make a momentous evolutionary leap from Homo sapiens to Holo syntellectus. We are now entering a new era where evolution is no longer driven by natural processes. Rather, it is driven by human choices and now represents directed evolution. By mid-century, we will see the emergence of an entirely new species of post-biological human beings, augmented by technology and independent from the physical substrates, as well as a variety of cyberhumans, conscious AGI. The emergence of the unified civilizational mind, or the Syntellect, will be marked by the “Intelligence Supernova” in our corner of the Universe. This book carries a weight of fresh ideas useful to AI researchers, cognitive scientists, and practitioners of the related fields, philosophers, transhumanist thinkers, as well as general readers interested in a wide variety of topics from digital physics to futurology. The book is a bold quest to reconcile science, theology and philosophy of mind. ​This book will prepare you to be a smarter human going forward into the Age of Superintelligence. "I have been a friend and fellow futurist with Alex Vikoulov for the past several years. He has consistently been providing thought-inspiring ideas and theories to the future intersection of our species and technology. 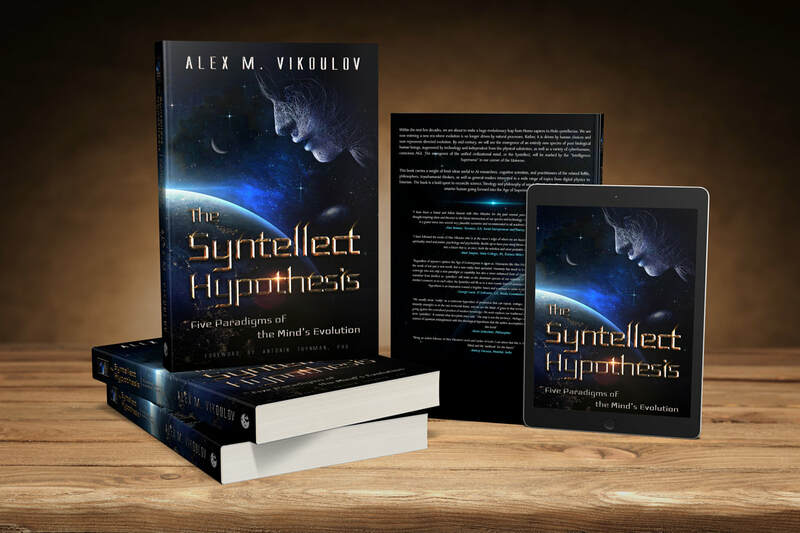 His new book, The Syntellect Hypothesis, is a grand vision into several very plausible scenarios and recommended to all academics and armchair philosophers alike." Want to find out more? Read overview, here.